order to link a website created in website builder WebWave CMS to traffic analysis tool Google Analytics, create and configure there your free account. Analytics will generate a tracking code for you, which needs to be pasted in website builder WebWave. In this article, you will learn how to build a website and monitor its traffic with Google Analytics. If you don't have a Google Analytics account yet, you need to create it. Enter the home page of Google Analytics and create an account. In the next step, Google informs you that it is necessary to confirm your email address. Check your email and click on the link sent by Google to finish creating the account. You will be redirected to a welcome page where you can directly enter Google Analytics. The first step, creating a Google account, is done. Now it is time to sign up for Google Analytics. The next step is a configuration to receive tracking code, which will be used on your website in WebWave. 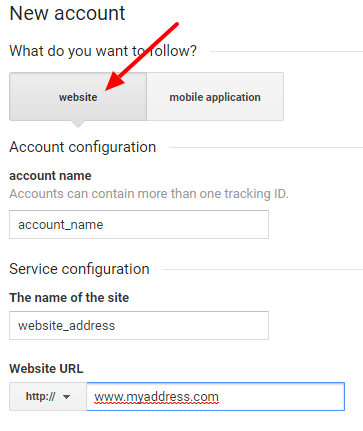 You want to track a website, so select in at the top of the form. Set account name, website name, and its URL address. You also have to choose a branch from the branch menu and time zone. Done. Your account in Google Analytics has been successfully created. Copy and paste your tracking code to your website in WebWave. Read how to do it in further part of this article. 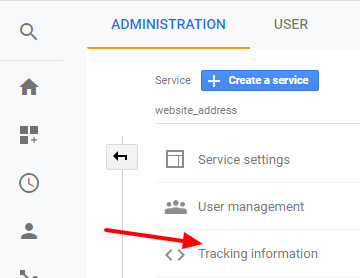 Sign in to your Google Analytics account and select "Administration" from the menu at the top of the website. In account and service select websites, which tracking code you'd like to download. Go to tracking information and tracking code. 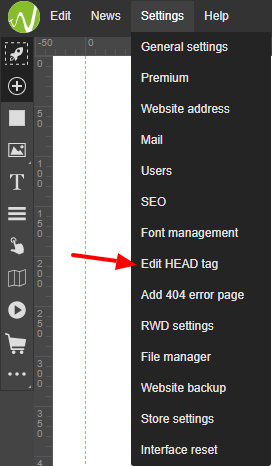 Tracking code needs to be entered in "Settings","Edit HEAD tag" at the top of the WebWave builder. In the new window enter your tracking code and save changes. Publish your website and wait for Google to start counting the number of visits on your website.